Hello everyone!! I hope you enjoyed the Pretty in Pink Blog Hop this weekend. If you missed out, you have until 10pm CST today (Monday 1/28) to follow all the rules for entry to win some awesome blog candy by clicking HERE. 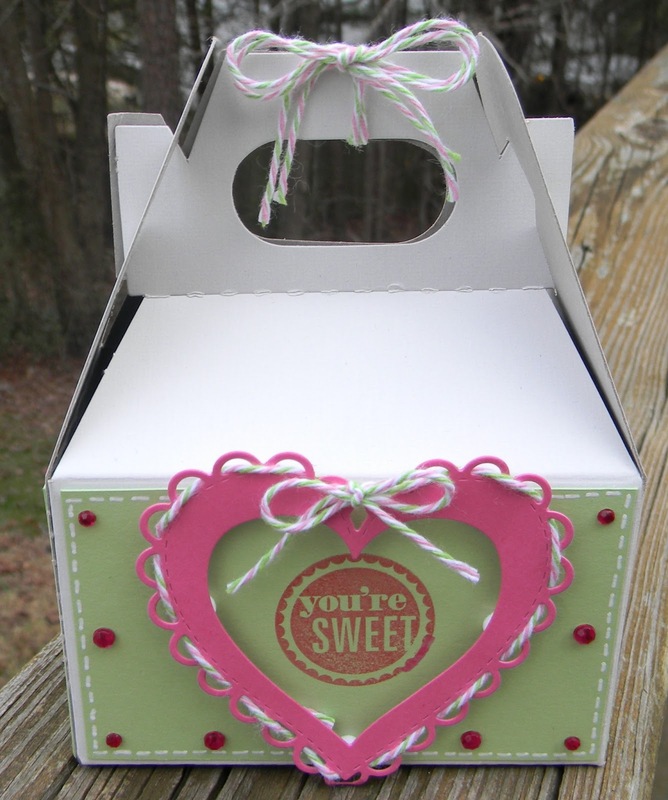 Today, I have a quick and easy gable box I decorated for Valentine's Day with the fabulous Watermelon Taffy Trendy Twine--love this combo! I just cut the cardstock to fit the sides. 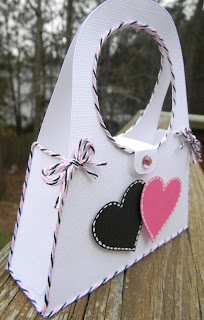 The hearts are from My Creative Time's Stitched Scallop Heart Die and stamps from Close to My Heart. The biggest heart is perfect to thread the Trendy Twine through :) And I added a bit of self stick gems for some sparkle. 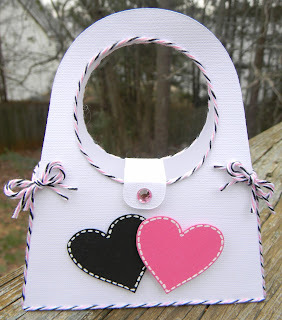 I just love pink and was so excited to find that Leslie made these awesome new combinations. For this weekend only, you can get both spools for $16.50. You can get them in a mini set too. My project is showcasing the Pink Midnight. 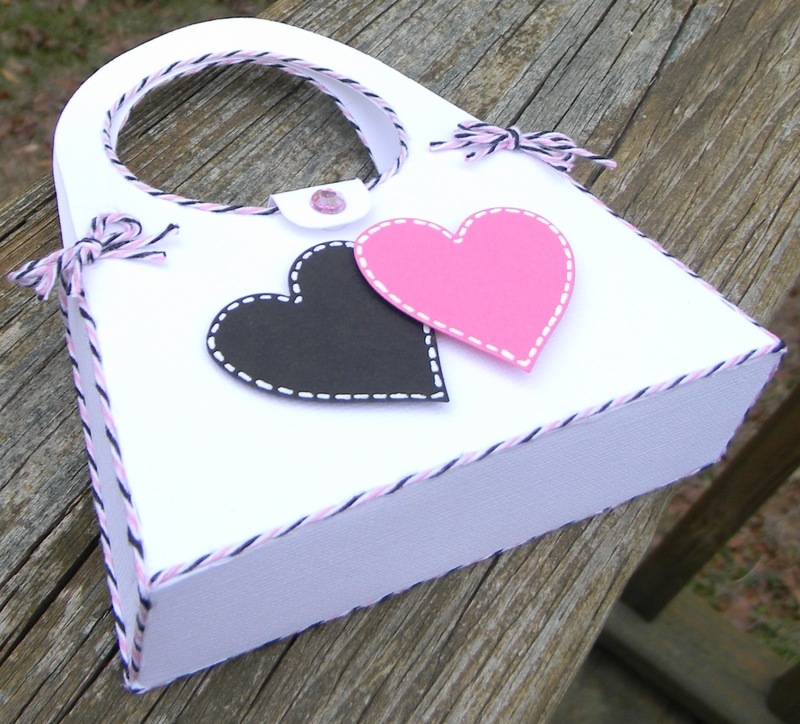 I think this would be a great small treat holder or it could even fit a gift card. 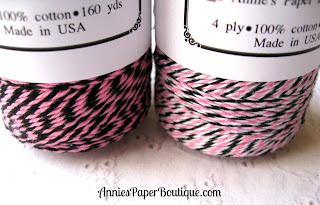 Well, since you made it to the end of my post, I get to tell you we have blog candy!! 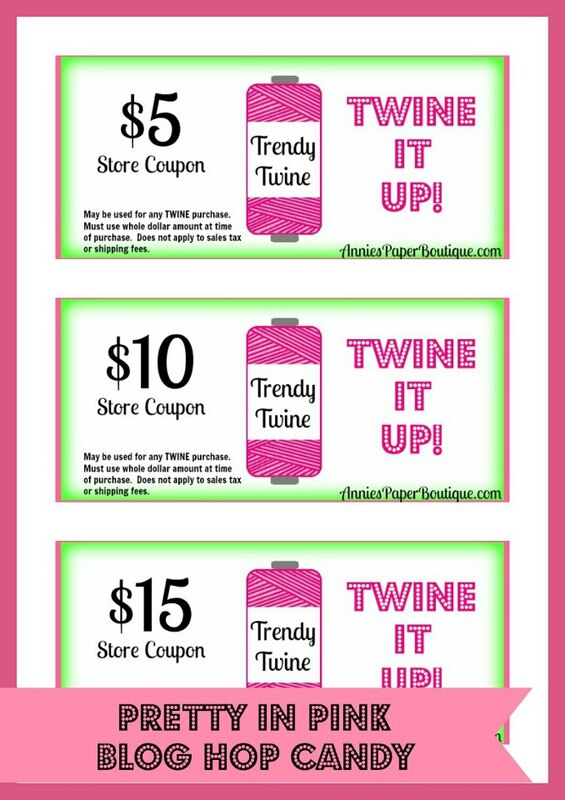 To be entered to win one of three gift certificates, comment on each post in the blog hop, follow the Trendy Twine blog and like the Trendy Twine Facebook page. You must do all three to be eligible to win and your deadline to enter is 10pm CST, Monday, January 28th. Your next stop is Jamie at JamieK711 Designs. Have fun!! Here's a card I made and not for a DT post! 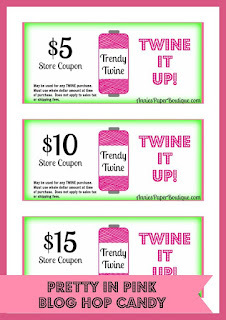 Trendy Twine is having a blog hop on Saturday so I do have to still make something for that. I hope you will hop with us! Here's a quick New Year's card I made with Blue Berry Trendy Twine. 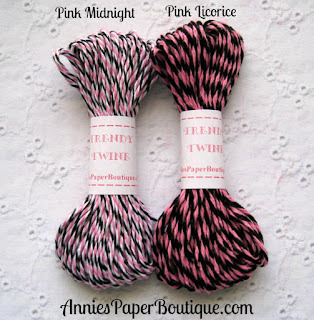 Be sure to head over to the Trendy Twine Blog to see all the New Year's projects. Also, Lesley is having an awesome giveaway. Just comment on all the blogs that have cards and the Twine It Up! With Trendy Twine Blog today, follow the Twine It Up! 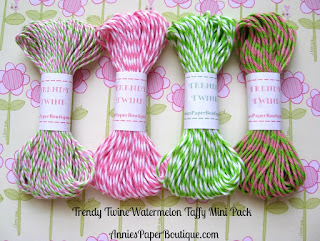 blog, and Like Trendy Twine on Facebook for your chance to win this awesome Watermelon Taffy Twine pack!